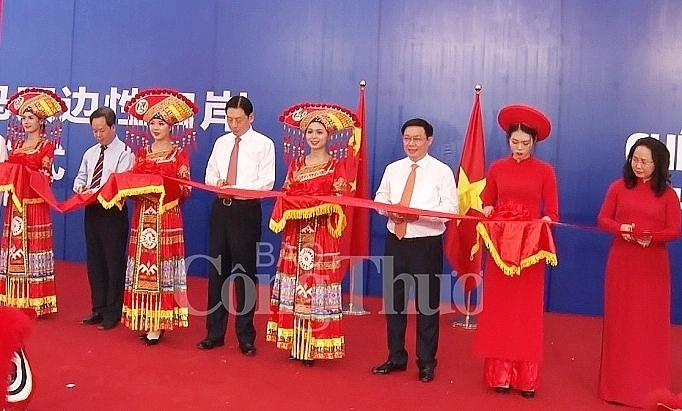 The Chi Ma-Ai Dian border gate pair from Loc Binh district of Lang Son province and Ning Ming County in China’s Guangxi Zhuang Autonomous Region, officially opened on September 10. 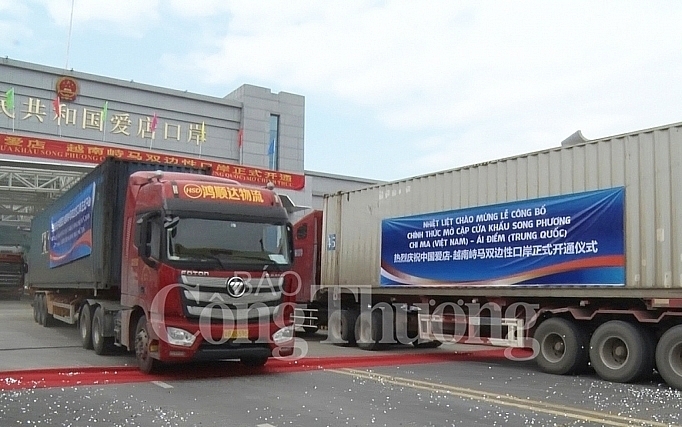 The inauguration of the border gates on both sides is expected to help intensify the friendship and comprehensive cooperation between Lang Son province and the Guangxi Zhuang Autonomous Region in particular, and between Vietnam and China in general. Vice Chairman of the provincial People’s Committee Nguyen Cong Truong said that the relationship between Lang Son and the Guangxi Zhuang Autonomous Region has been greatly enhanced over the past few years, bringing about benefits to both sides. He suggested enterprises from both sides take full advantage of this opportunity to step up exchange and cooperation. Truong also asked relevant offices to intensify coordination in managing and operating the pair of border gates effectively, while creating favourable conditions for import-export, entry-exit, and investment activities in the border areas. He addressed arising problems in a harmonious and satisfactory manner in order to boost border economic development and thus contribute to the Vietnam-China comprehensive strategic cooperative partnership. 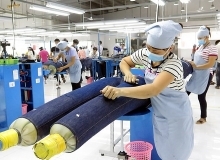 Sun Dawei, Deputy Communist Party Secretary of the Guangxi Zhuang Autonomous Region, stated that Guangxi and Lang Son have a time-honoured economic and cultural cooperation. Many trade connectivity projects have been built and put into use. Guangxi will continue working with the Vietnamese province to bring into full play the Ai Dian-Chi Ma border gate pair, he affirmed.